Home/Uncategorized/Graywater Irrigation – Coming Soon to a Development Near You! With the continuing scarcity of water resources in the State of California and throughout the Southwest, states are mandating conservation solutions. These new laws will allow, if not require, residential communities to reuse water – graywater — for irrigation. One such effort is reflected by California Legislature Assembly Bill No. 2601, which was recently introduced by Assembly Member Eggman on February19, 2016. In short, this bill would amend Section 17922.12 of the Health and Safety Code relating to building standards by requiring the state government to move forward with specific building standards for single-family and duplex residential units that would enable and facilitate graywater systems. These systems can be used for graywater irrigation. Read the proposed bill here. What exactly does this new piece of graywater legislation require? In summary, it states that on or after January 1, 2017, the Department must adopt and submit to the Commission for approval amendments to the building standards adopted through the amended Health and Safety Code section that would in turn require (i) all new single-family and duplex residential dwelling units to include specified components allowing the separate discharge of graywater for direct irrigation, and (ii) all new single-family residential dwelling units to include a segregated drain for lavatories, showers and bathtubs so as to allow for future installation of a distributed graywater system. >> This legislation would be a huge win for our state and will have a significant impact on conservation of fresh water. 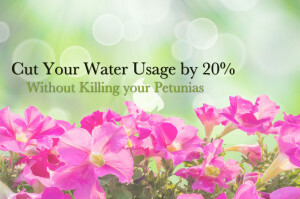 Households who reuse “clean waste water” through graywater irrigation purposes can reduce water consumption by 25% or more (depending on usage habits) without leaving landscapes to shrivel and die. The proposed amendment to Section 17922.12 of the Health and Safety Code also goes into detail about the necessary building components needed to comply with this new graywater-friendly legislation. In particular, new single-family and duplex residential units must include (i) either a separate multiple pipe outlet or diverter value and (ii) a stub-out installation on hookups for clothes washing machines. >>The Greensmart Graywater Diverter is the only listed and code approved graywater/wastewater diverter for graywater irrigation. The ONLY ONE! And it has the added benefit of being simple to use because it is remote controlled from the washroom and/or laundry room. Additionally, the proposed amendment requires that building drains for lavatories, showers and bathtubs in new residential dwellings be segregated from drains for all other plumbing fixtures and connected a minimum of three feet beyond the limits of the building foundations, so as to allow for future installation of a distributed graywater irrigation system. >> Whoo hoo! 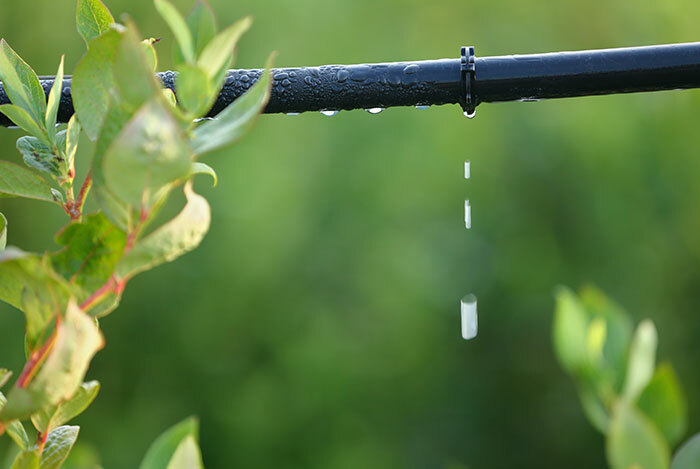 This makes setting up a graywater drip irrigation system (or other graywater irrigation system) a forethought rather than an afterthought which is great for homeowners AND the environment. As you can see through these developments, graywater legislation and related water conservation building code requirements are an emerging reality. 2017 is not long off and we look forward to the passage and implementation of these new codes. But homeowners and builders can be ahead of the curve right now by utilizing graywater-related recycling solutions such as the GreenSmart Graywater Diverter. This revolutionary and unique product is the only existing, commercially available graywater diverter of its kind that complies with applicable Uniform Plumbing Code standards. The Greensmart graywater diverter works conveniently with the push of a button on a wireless remote control right where you need it: near your shower, bath or laundry site. With a push of a button you can divert the drainage to your graywater irrigation system for use in the garden. With a second push of the remote control, the flow of graywater is diverted back to the main sewer. With the affordable, commercially available GreenSmart Graywater Diverter, there is no reason for homeowners to wait until 2017 to begin their compliance with the soon-to-be-enacted California graywater legislation. Regardless of legislation, however, using a graywater diverter to reuse household graywater just makes sense. And the Greensmart Graywater Diverter makes conserving water as easy as pushing a button.